View More In Light Meters & Photometers. 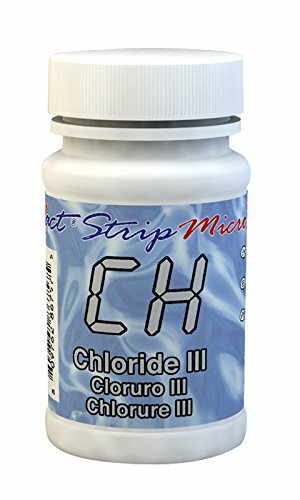 For use with eXact Photometers, the eXact Strip Micro Chloride/ Salt III incorporates the patented eXact reagent delivery system created by Industrial Test Systems, Inc. which is ideal for technical and non-technical users. By dipping the eXact strip into a photometer cell, the exact amount of reagent is released into the water causing a change in color or turbidity. The change is measured by an eXact photometer giving the user fast and accurate results. Each unit consists of a bulk bottle of 25 tests. Manufacturer: Industrial Test Systems, Inc. Publisher: Industrial Test Systems, Inc. Studio: Industrial Test Systems, Inc. If you have any questions about this product by Exact, contact us by completing and submitting the form below. If you are looking for a specif part number, please include it with your message.